1 TOPIC: KEEP YOUR WATER RUINING THIS YEAR! TOPIC: KEEP YOUR WATER RUINING THIS YEAR! Some animals have not yet been discovered by scientists and lives must of their lives on the open sea as deep as 10 kilometers. But the bottom line in our devotional today 8is that just as the oceans contain a different kind of lives, so it is WITHIN YOU! the water within you can GIVE LIFE to anything dead – dead business, and dead marriages, dead bodies and dead relationships, dead careers, dead misters etc. YOU ARE A LIFE GIVER IN 2018! Let the RIVER WITHIN YOU flow out daily as you pray in TONGUES regularly and release the power of the inner man, though, DAILY STUDY OF THE WORD of God. Oh! The Holy Ghost is repeating again: YOU ARE CARRYING A RIVER that contains LIFE! Give out that life! You are to be a DECORATING AGENT this year because you are the light of the world. D.L Moody said, “Lights houses don’t fire cannons to call attention to their shining. They just shine.” Please as you go out daily this year, always remember; Champions keep their water running daily. Frozen water is useless on the day of battle. Keeps your water running because the world needs the “water of the spirit’ within you? Let it flow as you go today! Pray now! 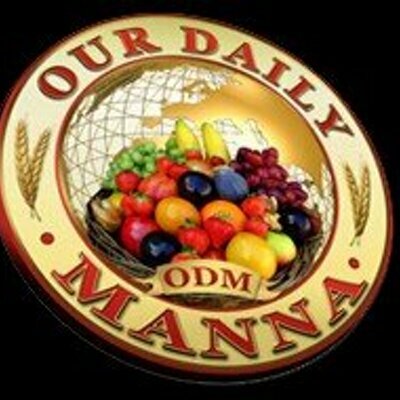 Gives out the edition of ODM copy as a MIRACLE SEED “ Expect 3-day testimony! PRAYER POINTS: Take song 4: tis so sweet…. 6. Holy Ghost, in this year 2018, turn me into a MOVING FLAME OF FIRE!